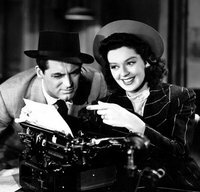 There was a time when ‘serious’ journalistic writing on film seemed routinely accessible to the interested general reader. In the 50s and 60s publications like Cahiers du Cinéma in France, MOVIE in the UK, and American critics like Manny Farber, Andrew Sarris and Pauline Kael, spoke intelligently and ambitiously about contemporary movies to a ready audience. This kind of film criticism was more detailed and theoretical than the word ‘review’ could encompass, but also not so rarefied as to be unenjoyable for film fans. Indeed, these critics regularly wrote very much as fans, their deep passion for the pleasures of the medium creating a space for an enthusiastic conversation between themselves and a relatively broad readership. These kinds of critics and readers might still have been a minority in the grand scheme of film journalism, but they were a larger minority than they later became. In the 70s the situation began to change, for numerous reasons, one of which was the rise of film studies as an academic discipline. A considerable gulf was allowed to grow between the journalistic film reviewer on the one hand and the academic film theorist on the other - the former writing for fans or consumers of cinema, the latter for students and fellow academics. Certainly there remained pockets of resistance on both sides, and broadsheet newspapers took up some of the slack; in general, though, the division remained in place. Driven both by market forces in the publishing world and the institutional demands of academia, the situation resulted in something like a climate of isolationism. The English-language reader who yearned for intelligent discussion of modern film, but was untrained in the debates of film studies, was left with few places to turn for writing regularly pitched at this level. Recently, however, the internet has managed to make room for this more liminal space. Restricted by neither printing costs nor the necessity of defining a rigid target market, blogs and online magazines/journals have increasingly been finding ways to reinvigorate an entirely necessary and desirable middleground that has for too long been too sparsely populated. While obviously recognising that both popular film reviewing and academia can serve very valuable functions, Alternate Takes seeks to contribute to this intriguing space that exists somewhere between the two. A problem for much movie reviewing is the issue of ‘spoliers’. Arguing for the fundamental need to ‘spoil’ aspects of a film in order to discuss it properly, Jonathan Rosenbaum has said, “it’s impossible to function as a critic if one can’t describe anything in a movie or a book in advance. So if I’m expected to write a review of something, am I also expected not to analyze it?” We might say that this speaks to a basic distinction between reviewing and criticism: film reviewers have to assume that their readers haven’t seen the film under discussion, while film critics can assume that they have. To this extent, Alternate Takes practises both reviewing and criticism. The most obvious way by which we bridge the gap between reviewing and criticism is that we write about new films twice. First there is a short, evaluative piece that ‘spoils’ as little as possible about a film, but still grants a sense of the sorts of pleasures, or otherwise, that it offers; this is a review to read before you see a film. After you return from the cinema, you can read our Alternate Take - a longer, more in-depth critical analysis that discusses whatever the writer found to be most interesting about the movie. Speaking very broadly, film journalism tends often to write to the taste of its presumed readership. A 'film fan' or 'movie geek' might read, say, Empire, whose focus is skewed towards mainstream pictures, while a self-defined 'cinephile' might read a publication like Sight and Sound or Film Comment for its coverage of arthouse or festival films. Concerned first and foremost with evaluation, both these kinds of writing usually share and encourage assumptions with their readers about what sorts of films are worth discussing. Film studies, on the other hand, while certainly not immune from issues of taste, isn’t nearly so often interested in passing judgment upon a film’s value - at least not overtly. This in turn opens up the option of writing about a film for a multitude of other reasons - what it might tell us about a social issue, for instance, or an industry, or a genre’s history, or a philosophical problem - and thus means that any film can be treated as interesting for reasons other than whether or not it might be up the critic or reader’s alley. One problem with writing overtly to a particular taste is simply that it can mean that - due to pressures of space - films which lie outside the taste bracket become sidelined. Thus, Empire gives a film like I Am Love (2010) a positive review that nonetheless runs to a mere 107 words, while the usually more loquacious Sight and Sound grants a movie such as No Strings Attached (2011) just two paragraphs (see the April ’11 issue). This, surely, is because both publications assume that their core readership just won’t be interested in reading lengthy pieces on these sorts of movies. The first of these reviews is written in proud ignorance of the actual film (“I haven't seen it myself, nor shall I - and I speak as a broad-minded arts critic” [sic]), while the second uses attitudes about a whole type of film in order to dismiss a movie out of hand. Both are obvious examples of “a taste and a set of values” producing a tone which shuts down dialogue with a movie. It doesn’t occur to Hart that a film could amount to something more than merely its most extreme contents, nor does Bradshaw acknowledge that to complain about being able to foresee the outcome of a romantic comedy is an entirely redundant criticism for this kind of film - rather like objecting that a horror film is violent. In both instances, there are many potentially interesting things to be said about the movies in question beyond where they fit in the critic’s taste hierarchy - that is to say: many more appropriate approaches that could be taken to them. Of course, it would be foolish to claim that any of our critical judgments can ever be free from personal taste (something acknowledged in our scoring system - see below). But it would be equally foolish to deny that there are degrees to which taste dictates the focus and tone of a discourse. Alternate Takes tries to adopt something akin to film studies’ more democratic attitude towards cinema, but without wholly abandoning the evaluative dimension of journalistic film reviewing. The result, hopefully, is an approach that considers any kind of film worthy of detailed discussion, but which assesses that film on its own terms rather than chastising or ignoring it because it isn’t something that it never attempted to be. We may not always be successful in this aim, but it seems an ideal to strive towards. To give a film points out of five, or ten, or a hundred, hardly seems to tell readers anything useful about a movie. Rating is one of the features of popular reviewing regularly decried by more serious critics - and with some good reason. Alternate Takes originally chose to include scores in its reviews in order to further maintain its link with journalistic approaches, but many’s the time I’ve paused before scoring a film, stumped by the near-impossible task of translating thoughts and feelings into numbers. Yet this moment of pause can itself lead to useful reflection. If I find myself wanting to give a film a mark that doesn’t quite tally with my characterisation of it in the review, then I’m forced to go back to the writing, and to my memories of the film, in order to try to better represent the gut feelings that bubbled up while trying to quantify my experience. Quixotic and ungainly though the task may be, the shallow art of scoring a movie can sometimes lead, paradoxically, to deeper evaluation. However, to make the job more interesting, we have also coined our own unique scoring system: two marks out of five - one assessing ‘filmmaking’ (a film’s execution), the other ‘personal enjoyment’ (its effect on us) - which combine to form a total out of ten. This is obviously not an unproblematic distinction: certainly our enjoyment of a film is intimately affected by a sense of how successful is its filmmaking, and our evaluation of its filmmaking will hardly be able to avoid being personal. Nevertheless, the division can be helpful, if for no other reason than because it speaks to an uncomfortable but undeniable truth: we make these kinds of judgments all the time. “Beautiful but cold”, “messy but fun” - such balancing of appreciation against investment regularly forms an integral part of our assessments of movies. ‘Filmmaking’ doesn’t manage to be a somehow objective score, nor does it refer to a film being either conventional or ambitious: if it achieves with aplomb what it sets out to do, the most conventional frat comedy could strike us as just as impressive in its filmmaking (including, of course, performances) as the most ambitious avant-garde experiment. Equally, ‘personal enjoyment’, while idiosyncratic, often stems absolutely from an admiration of filmmaking technique. Nonetheless, the dual-score system allows us to make a point of the fact that we can get a great deal out of a seeming trainwreck, or feel entirely uninspired by something that appears beautifully-wrought. Overall, Alternate Takes’ mission is to provide analysis of cinema that is in-depth, thoughtful, mindful of social and artistic contexts, but also accessible. We hope that you enjoy our attempts, and that you will want to engage us in dialogue when we fall short. This article was published on March 11, 2011.